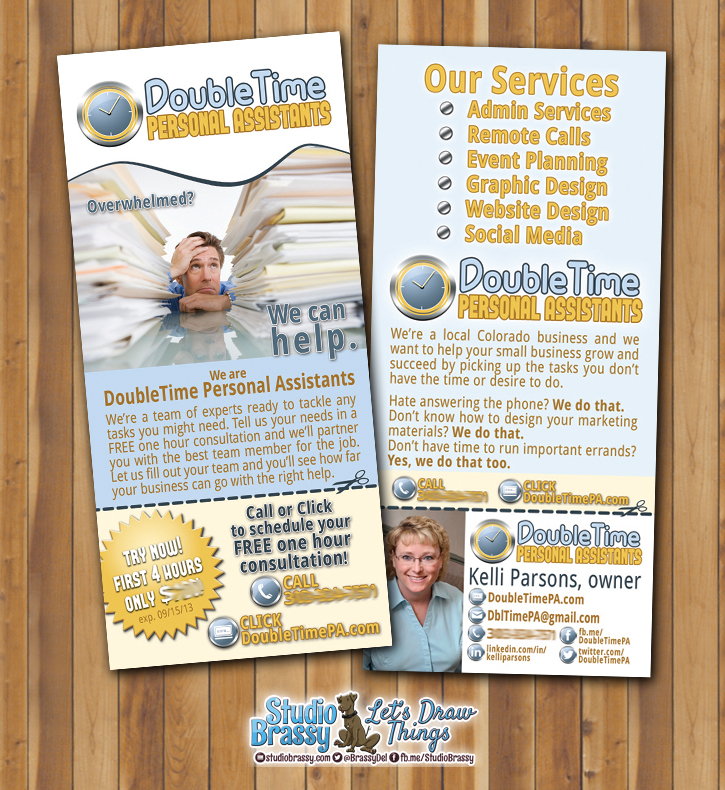 I both designed and wrote the copy for a variety of marketing materials for DoubleTime Personal Assistants. Below is a mock up of the rack cards I created. 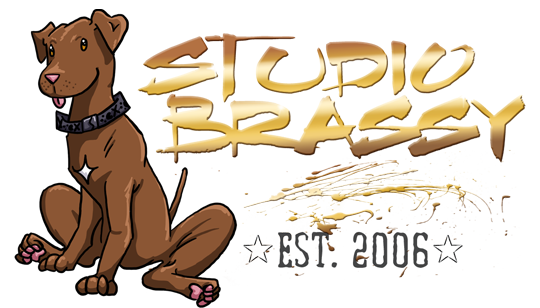 The cards coordinate with all of the other marketing materials, including the website and Facebook Business Page and, of course, owner Kelli’s own business cards (which I also designed). The bottom of the rack card is a business card sized cut off segment with a coupon on one side.